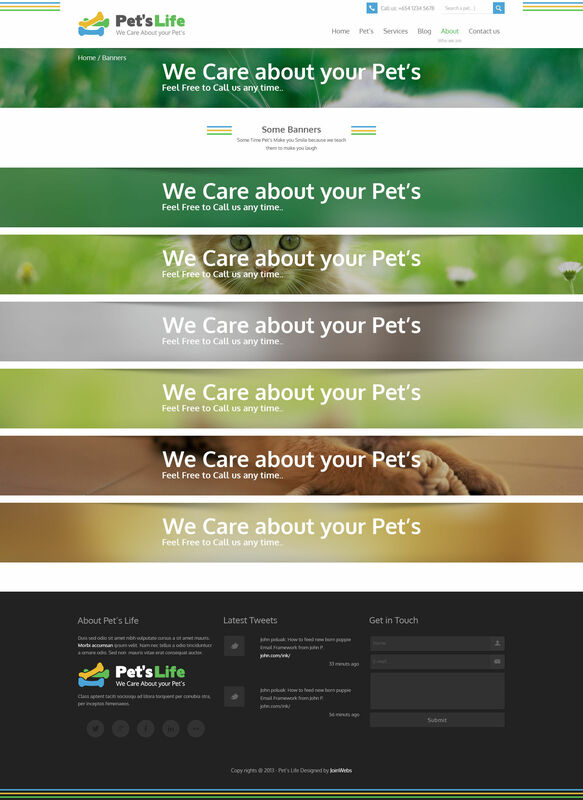 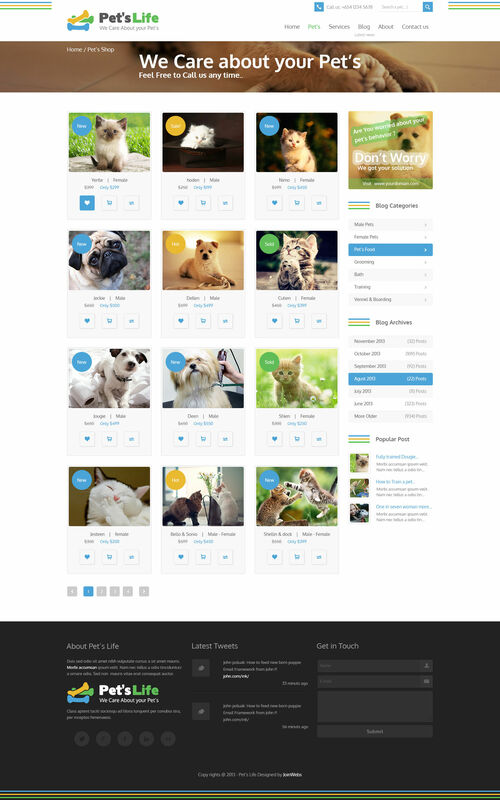 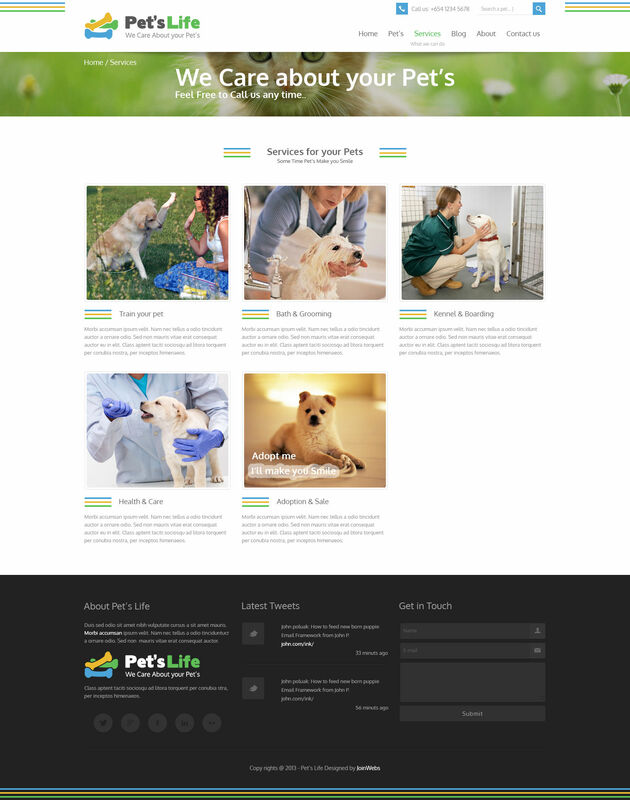 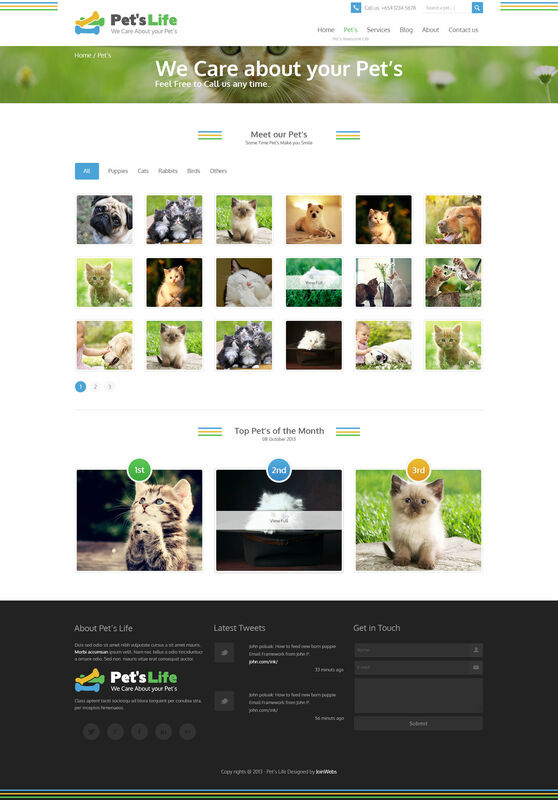 Pets Lifeis a uniquely designed best for Pets related Website. 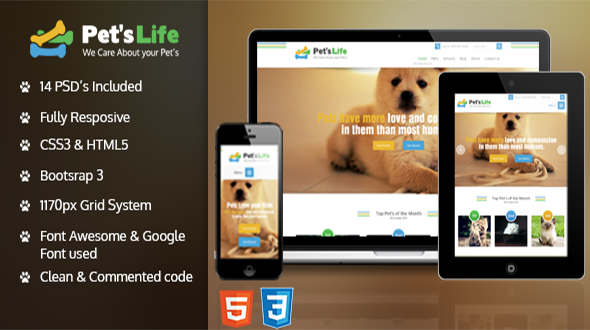 Pets Life created with love using the latest HTML5, CSS3 and Bootstrap Framework techniques with a validity code, completely responsive to look perfectly in all mobile devices, easily usable with any device as well as PCs. 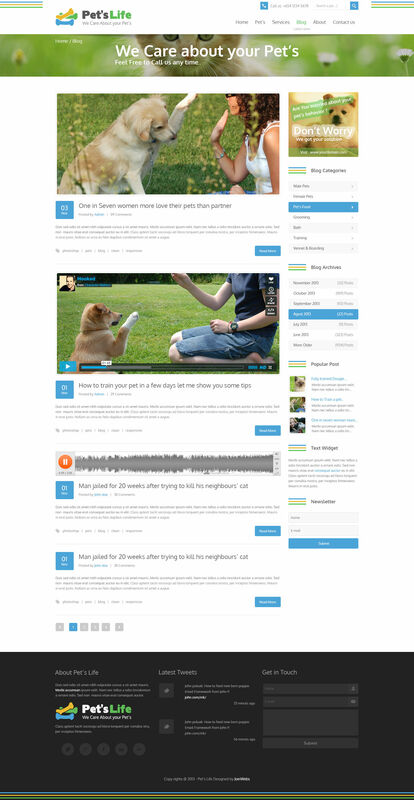 Responsive design optimized for tablets and smartphones (resize browser and hit refresh to check it out). 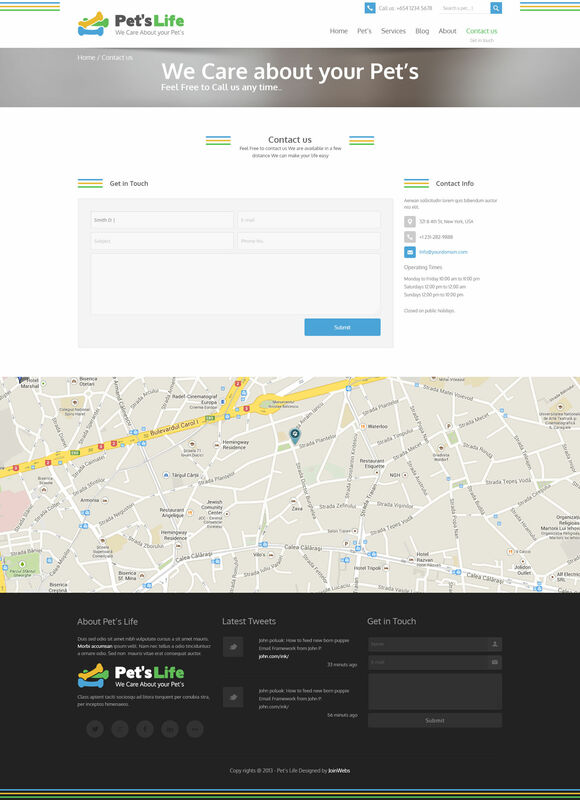 Blog, about us, Shop, Service & Contact us and more..